Maybe you have just moved into your home or it is just time to spruce things up a bit. Remodeling your bedroom can be quite a project to undertake, and some people will do it on a rather large budget. However, this does not always have to be the case when you want a bedroom that looks like something out of a magazine. There are a handful of things you can do to accomplish the bedroom you want on a budget. We will give you some tips here in order to get you started on your new room. One small thing you can do that will really add a bit of an artistic edge to your room is painting a faux frame around your mirror. If you have a stand alone mirror or just a simple oval one hanging on the wall, this is a very easy way to add some decoration to your room while dressing up the mirror too. 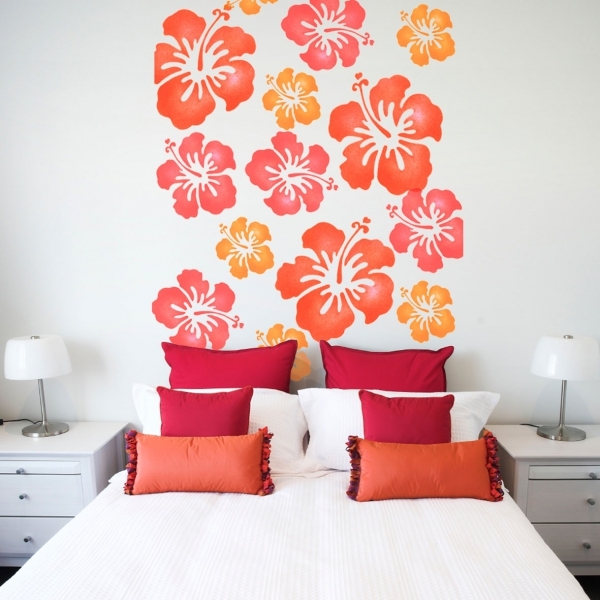 Wall decals can be achieved by painting them onto your wall as well! If you are a fan of the look of these but are afraid of wallpaper or simply don’t want to splurge on them, just simply purchase stencils in a design that you want on your walls and paint them on there! It is very inexpensive and has the same effect. You can also take the paint to your preexisting furniture. If you have a bedside table that is a bit more on the bland side, revamp it with a fresh coat of paint! 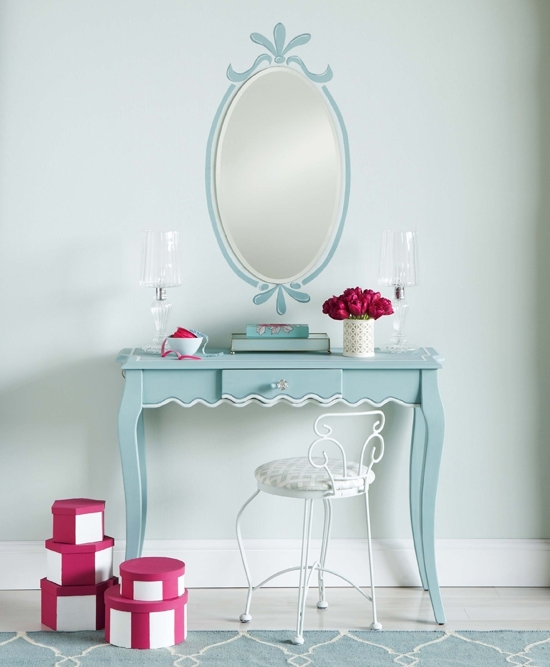 Choose a color that coincides with the new room and even just accent the legs or the top. This is super easy and makes for a good impact on the room. If you have hooks or other types of fixtures in your bedroom, you should paint those too! Pick a pretty accent color, or maybe a neon color, and add that to them. This will add a nice hint of a new color to the room, and it is so very contemporary looking. 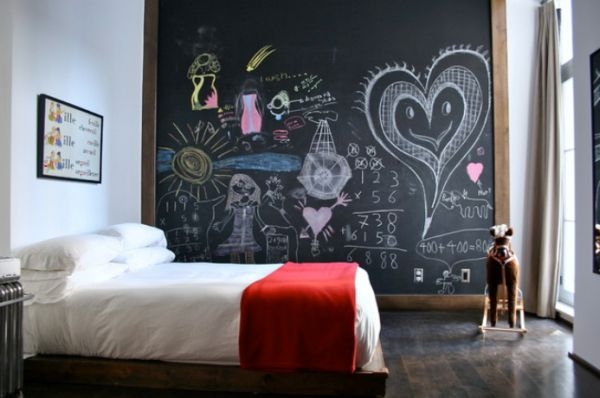 Chalkboard walls are an excellent addition to really any room, but your bedroom is the perfect place for an ever changing canvas. 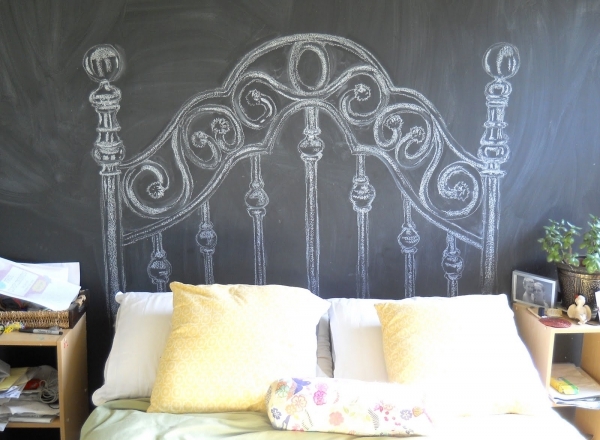 Paint the wall behind your bed with chalkboard paint, let it dry, and have fun! It is erasable, so let your inner artist out and draw something new every now and then. Your friends will even have fun with it! Upgrading the hardware on your dresser or your night table (and any other type of furniture that has knobs) is an easy way to add a bit of flair to the room. You can either paint them or purchase new ones to replace them. Finding ones that mismatch but maybe have the same theme to them is a really adorable way of doing this, say with different patterns of floral on them. If you do not have a headboard and don’t have the money to purchase one, make it yourself! Buy the fabric you would like, get a piece of plywood, and upholster it. Or you can simply paint one onto the wall behind your bed. Even more, remember that chalkboard wall? Draw one! If you are a bit of a bookworm, you can now use that ever growing library of yours as a decoration! Create your own rainbow bookshelf by arranging the books according to their coloring, or you can grab only certain ones that match the coloring of your room and place them on a shelf. You can even use them as their own shelf by fastening them to the wall and placing relics on top of them! We hope these have helped you get going! And remember, the decorating process really never ends! Don’t let that get you down though, it’s a fun ongoing project that allows you to really tailor your home to your style and who you are.